Provides students with tools to identify the problems in heath care. 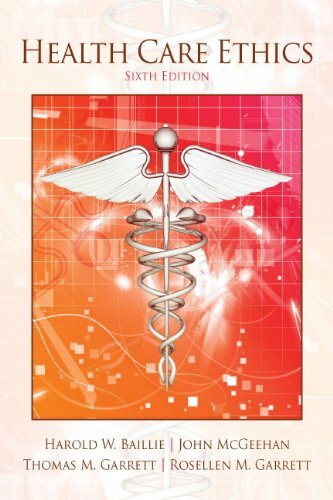 Health Care Ethics is aclear, accessible text/reference that explores the full range of contemporary issues in health care ethics from a practicalwisdom approach. The authors present the fundamental concerns of modern medical ethics—-autonomy, beneficence, justice, and confidentiality-—and then provide analysis, cases, and insights from professional literature to discuss them. Throughout, the discussion starts with larger issues or concepts and principles and then focuses on specific problems or complications. Identify the problems in health care ranging from end of life issues to testing and research. Develop a more well-rounded understanding of cultural traditions that are not a part of the mainstream discussion of American medical ethics. Analyze the various views on health care ethics.